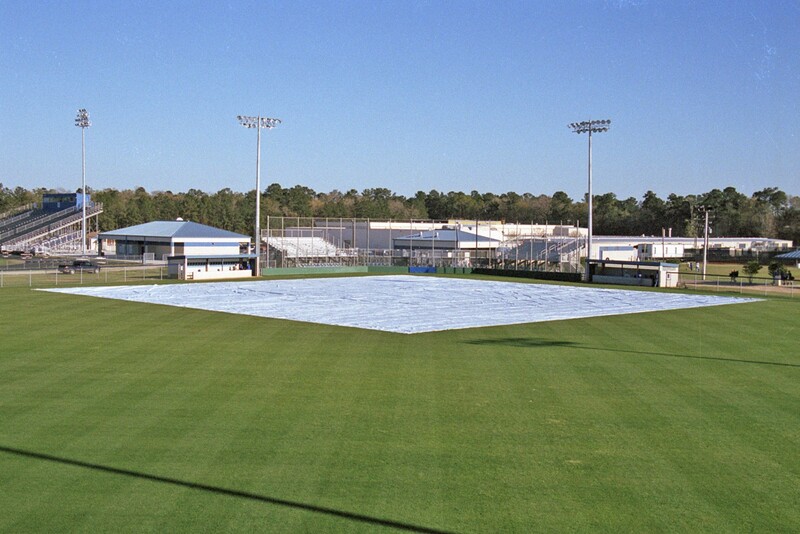 Protect your baseball or softball field with this full infield cover. 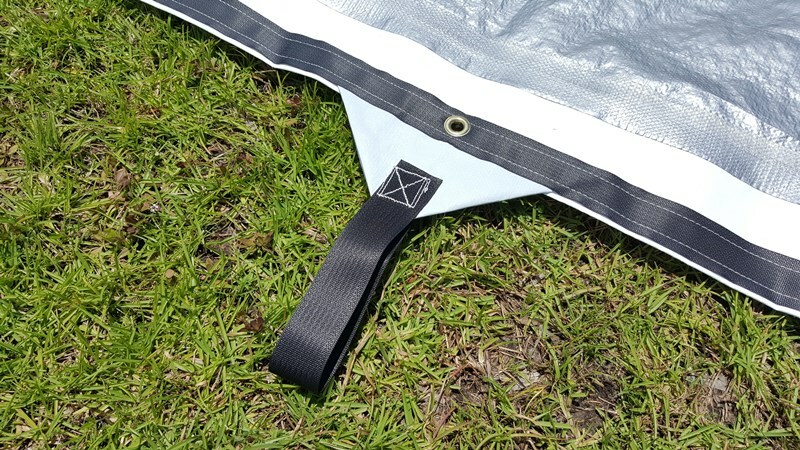 Grommets for staking are included at each pull handle. Stakes are not included. Heavy Duty Galvanized Steel Spikes are recommended- usually found reasonably priced at local hardware stores.